Shake well before using. Add 5ml (1 tsp) per 20 gallons of tap or aquarium water to remove up to1 ppm of ammonia, 6 ppm of chlorine, and 3 ppm of chloramine. Allow ten minutes before testing. 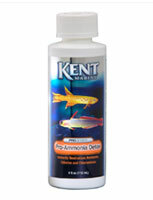 KENT Marine Pro-Ammonia Detox is a concentrated product designed to treat up to 1 ppm ammonia, as read on an ammonia salicylate test kit (test kits based on Nessler’s reagent will give a false positive reading), or 6 ppm of chlorine or 3 ppm chloramines in 20 gallons of water, per teaspoon. 1 teaspoon will treat 50 gallons at up to 1 ppm of chlorine or chloramines. If you are doubt about levels, it is a good idea to test prior to introducing animals to the water. In many areas, water departments are using chloramines, a complex of chlorine and ammonia to prolong the chlorine action in killing bacteria. 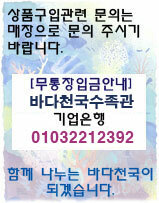 If chloramine is present, KENT Marine Pro-Ammonia Detox will neutralize it, making the water safe for aquatic animals. No other treatment is required.